Emmy-winning actress Ann Dowd has been nominated for her role of Aunt Lydia in Hulu’s The Handmaid’s Tale for a second time. 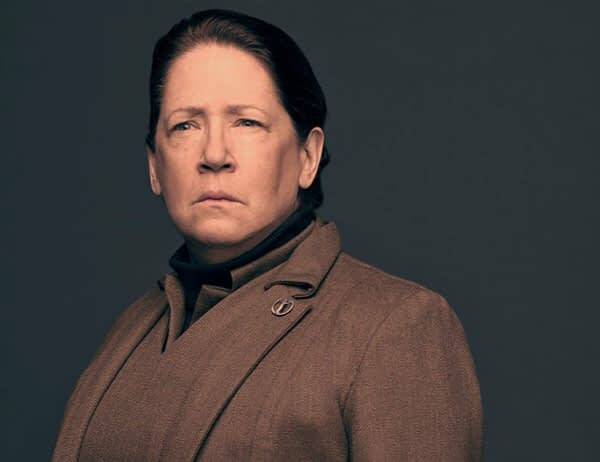 Aunt Lydia, of course, is the dominating teacher of the Handmaids of Gilead who also has a soft spot for new babies and their mothers, even though her overbearing presence points to the contrary. What you maybe don’t know about Dowd is what a charming person she is — the magic of acting, after all. In a recent interview with Mo Ryan for The New York Times, Dowd reveals what she really thinks of her character and the parallels she sees. Mo: I don’t know that if I were a handmaid, I could forgive Aunt Lydia for some of the things she’s done. Dowd: This is what’s remarkable. It happens between two people. That is to say, Serena Joy did something that was extraordinary. She gave the baby up. It wasn’t for Offred to do it alone, it was between the two of them. I’ll give you a personal analogy. My youngest child is 13. He was my foster son at nine months. The deal was, he goes back to mother when mother finishes her programs, whatever they may be. His mother was deeply jealous and angry at me from almost the beginning. The way she talked to me and treated me and my kids, and the stuff that went down between us was unbelievable. At one point, I hadn’t seen him in a year, she wouldn’t allow [a visit]. We’d plan a big party, balloons, everything. She’d never show. Time after time. And because we both loved the same child, I love her. I love her deeply. What I’m saying is, something about the love of a child such as Serena and Offred had for that baby — it is the grounds on which miracles occur. And by miracles I mean forgiveness and love. Which is I think the strongest thing. Now, if Lydia didn’t change her ways or see the light or something, it might be very hard for someone to forgive her. But I think, where there’s love and where there’s some level of truth, anything can happen. Mo: I can see the parallels to “The Handmaid’s Tale” — the idea of fighting for a child. Dowd: And knowing you have to be in there for the long haul. That because it’s love, and I believe Lydia does deeply love those babies. Doesn’t take two minutes to love your baby. Seasons 1 and 2 of The Handmaid’s Tale are available on Hulu now. There is no official release date for season 3 yet, but we’ll let you know when there is.